Comics Experience Blog: COMMUNITY NEWS: Shaun Manning a Semi-Finalist in Stan Lee MTV Geek Contest! COMMUNITY NEWS: Shaun Manning a Semi-Finalist in Stan Lee MTV Geek Contest! Just a few hours ago, MTV Geek announced Shaun Manning as a semi-finalist in Stan Lee's The Seekers writing contest! Congrats to Shaun, who is a Comics Experience alum and Creators Workshop member. Shaun wrote a treatment and a script for The Seekers and was selected as a semi-finalist by the MTV Comics editorial staff from the massive pile of submissions. Now, the next stage of the competition will be determined by a vote. The top 5 vote-getters will have their treatments sent to Stan "the Man" Lee, who will personally pick the winner! Regarding his submission, Shaun wrote: "Though I played this submission pretty close to the vest, Comics Experience has been invaluable in helping me put together strong treatments, improving the pacing of my stories, and formatting my scripts for clean, readable presentation. I owe a lot to this group and the business-side lessons learned in the Intro and Advanced writing classes." The comic Shaun created for the Advanced Class will be published as a hardcover original next year from one of the major indie publishers. In addition, his digital comic, Hell, Nebraska, is available right now on Graphicly. But for the next few days, we're sure his focus will be on the MTV contest! Voting polls close Friday, September 30th at 3pm ET, and voting is extremely easy. 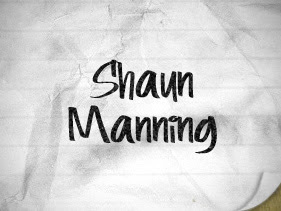 Why not check out the treatments and scripts and then pop over and give Shaun Manning a vote? Vote for Best Writer in MTV Geek's / Stan Lee Competition!